James D. Colt had a gift for storytelling and an agile memory for both his Boston ancestry and the unfolding saga of US history. But for tales of Mr. Colt himself, it is best to turn to his nephew's memoir, which on one page describes a man who could be an intimidating presence during tennis matches at the family's summer home on Cape Cod. "His muscular build and slight slouch gave him an ursine languor on the court that reminded me of the heavyweight boxing champion of the time, Sonny Liston," George Howe Colt wrote of his uncle in "The Big House," published in 2003. "Indeed, Jimmy had a way of holding back on a shot till the last second, sizing up the ball like a boxer measuring his opponent's head for a punch, then delivering a knockout blow." Mr. Colt, a probate and estate lawyer who served in the state House of Representatives and on the boards of selectmen in Milton and Wenham, died of cancer last Thursday in the Kaplan Family Hospice House in Danvers. He was 75 and had lived in Wenham. "He was kind of the oral historian of our family and remembered everything back several generations," Beth Colt of Los Angeles said of her father. "He was also an avid reader and student of history, so if you wanted to discuss the Battle of Bull Run or Churchill's efforts in the third year of the war or Rommel's exploits in North Africa, he'd be your man." Born into a Brahmin lineage, and counting among his relatives the Forbes family, Mr. Colt chose to spend many years in local politics. He was a selectman in Milton from 1973 to 1982. 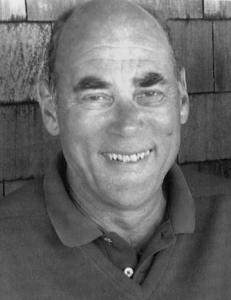 After moving to Wenham, he served on the Board of Selectmen from 1990 to 1996. "He really felt this special obligation to serve," said US Senator John F. Kerry, a distant cousin of Mr. Colt. "He didn't have to, but for the passion of it he engaged in the communities in which he lived." Except for one term in the state Legislature, Mr. Colt's public service was all on the town level, which Kerry called the front lines of politics, adding with a chuckle, "I've often said it's the hardest work there is, because people know exactly where you live and how to get a hold of you." Mr. Colt, Kerry said, "was a gentleman with a purpose. . . . He was enormously committed to the environment and public land, and felt a huge responsibility to make sure we were nurturing the creation around us appropriately." John Linehan, a former Milton selectman, said Mr. Colt "was admired by just about everybody in the town; you could always count on Jim." And that was true of Mr. Colt's friendship, too. "He was one of the finest gentlemen I ever knew," said William O. Taylor, chairman emeritus of the Globe. "Jim was a wonderful friend, and we're all going to miss him very much." Mr. Colt graduated from St. Paul's School in New Hampshire in 1950 and from Harvard College in 1954 and then spent two years in the Army. He graduated from the University of Virginia School of Law in 1959, went to work in Boston at Peabody and Arnold, and later founded his own firm. "He, first of all, was a very active probate and estate-planning lawyer, as well as an active professional trustee of many trusts," said Bradley Cook, a friend and a partner at the Boston law firm Taylor, Ganson & Perrin, where Mr. Colt was of counsel for several years. "Jim was a very kind person with an exceedingly dry sense of humor, and was a lot of fun to be around." For many years, summers were the time to visit what Colt family members called "The Big House," on Wing's Neck in Pocasset, a village in Bourne. Writing in "The Big House," George Howe Colt recalled arriving at the summer home to find his uncle already there. "Uncle Jimmy, a young lawyer who came down most weekends from Boston, would be reading yesterday's Globe, looking up from the sports section to ask us about our trip," he wrote. "A tanned, athletic bear of a man, who, like his father, had played hockey at Harvard, he spoke in a deep, rich voice, leaning into you with an intensity that made you feel important." One weekend, Mr. Colt asked Elizabeth Reynolds to visit Wing's Neck, and they drove down in his VW bug. "They hit it off in the car and that was it," their daughter said, and the couple married in December 1963. Mr. Colt also was a part-owner of Naushon Island, the Forbes family estate off Falmouth, where he was a trustee for 30 years, serving as managing trustee for seven. Though he could have, Mr. Colt "never officially retired," and he felt a keen responsibility to each client, his daughter said. "Even a month ago, when he was so sick, an older couple whose will he had written wanted to talk about their will," she said. "We said, 'Dad, you don't have to take this meeting,' and through tears he said, 'I just don't want to let them down.' "
In addition to his wife and daughter, Mr. Colt leaves two other daughters, Alexandra of Great Barrington and Sarah of Brookline; a brother, Henry of Easthampton; two sisters, Ellen Singer of Boston and Mary of Montreal; three grandsons; and a granddaughter. A memorial service will be held at 11 a.m. today in St. John's Episcopal Church in Beverly Farms. Burial will be private.